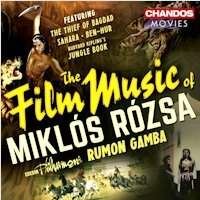 Miklós Rózsa (1907-1995) is mainly remembered as the composer of epic Hollywood film scores of the 1950s – Quo Vadis, Ivanhoe, Ben-Hur, among others. Less well known is that he also excelled in the film noir genre, while his auspicious first steps (as a young concert music composer) in the movie industry, closely connected to fellow Hungarian producer-directors Alexander and Zoltán Korda, remain relatively underrepresented on disc. Starting in 1937 Rózsa went on to compose for no less than nine pictures of the Korda’s, often successful, lavishly produced works that remain classics of the silver screen. 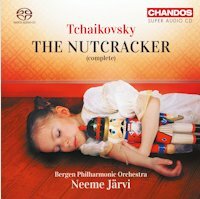 Categories: CD reviews | Tags: Alexander Korda, BBC Philharmonic Orchestra, Ben-Hur, Chandos, film music, Hollywood, Marc Haegeman, Miklós Rózsa, Rudyard Kipling's Jungle Book, Rumon Gamba, The Thief of Bagdad | Permalink.